Yesterday upon our arrival in Gaziantep Ferrell Jenkins & I rented our car and from there went to Zeugma where we saw the Euphrates and the excavations of the temple of Dionysus. From there we drove to the ancient city of Haran, home (for a while) to Abraham; home to Jacob for twenty years. We overnighted in Sanliurfa, a strategically important city in upper Mesopotamia known as Edessa in Grecian and Roman times. 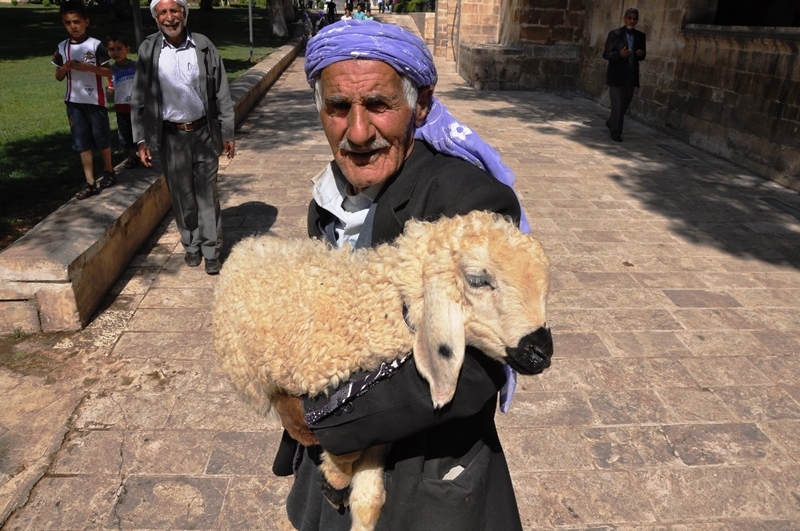 This morning at Sanliurfa I photographed a man carrying a sheep. At Sanliurfa, Turkey. Photo by Leon Mauldin. At Gobekli Tepe we saw the oldest known temple remains to be discovered thus far. From there we went on to Birecik for another view of the Euphrates as we made our way on to Carchemish. High school boys at Birecik, Turkey, on bridge crossing Euphrates. Photo by Leon Mauldin. We were able to see Carchemish from several vantage points and took lots of photos. We could see over into Syria. Tonight we are in Gaziantep. This entry was posted on Friday, May 23rd, 2014 at 3:04 PM and is filed under Bible History and Geography, Bible Study, Old Testament, photography, Travel, Turkey. You can follow any responses to this entry through the RSS 2.0 feed. You can leave a response, or trackback from your own site. I am enjoying the pictures. You make me wish I was still in Turkey with Ferrell. The previous two weeks were great.